The pinnacle of road competition footwear. Super light. Incredibly fast. Close to the action. Ultimate power transmission with the new S-PHYRE road competition shoe. It connects your leg foot sock and shoe with a unique linkage effect that transfers every last watt while treating your toes to a comfortable fit. Because when you're suffering for glory the last thing you want is a shoe that's not contributing to the effort. The pinnacle of road competition footwear. Super light. Incredibly fast. Close to the action. Ultimate power transmission with the new S-PHYRE road competition shoe. It connects your leg foot sock and shoe with a unique linkage effect that transfers every last watt while treating your toes to a comfortable fit. Because when youre suffering for glory the last thing you want is a shoe thats not contributing to the effort. 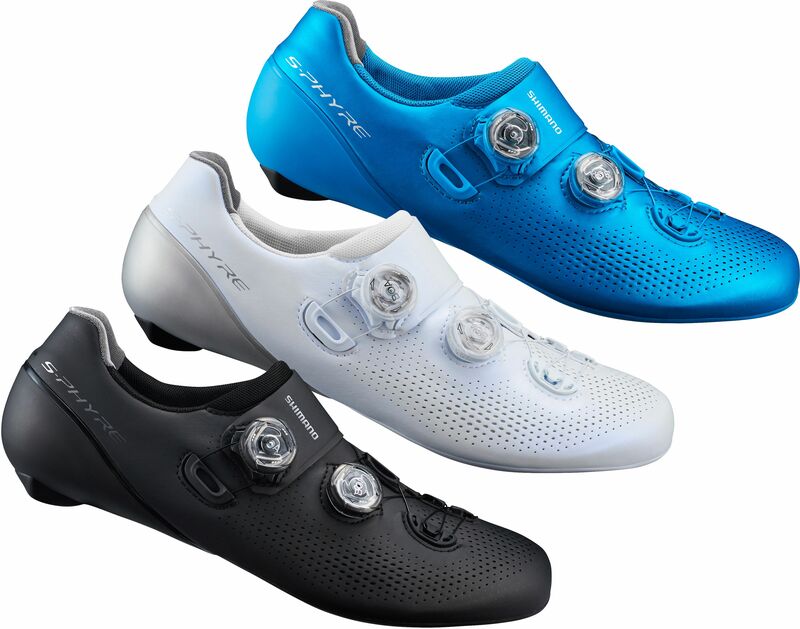 Please see below for delivery options for Shimano S-phyre Rc9 Spd-sl Road Shoe 2019.